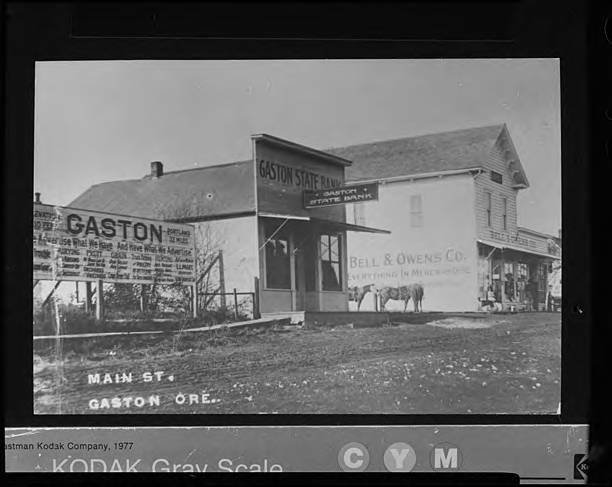 Portrait of Main Street in Gaston, Oregon. A large welcoming sign reads 'GASTON We Advertise What We Have - And Have What We Advertise.' 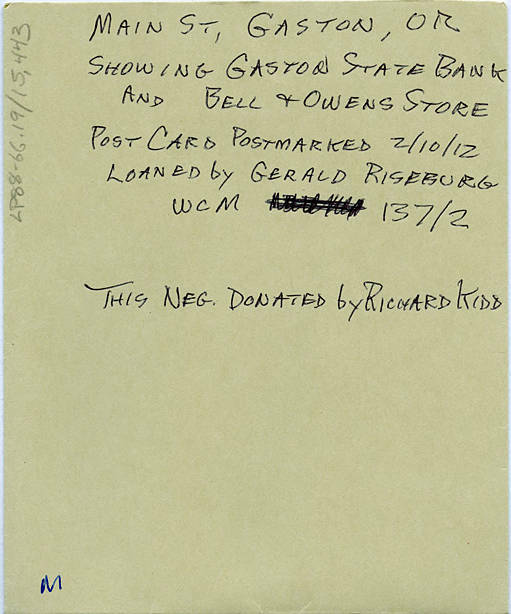 To the right of the sign are two stores, the Gaston State Bank and Bell & Owens Co. general store.